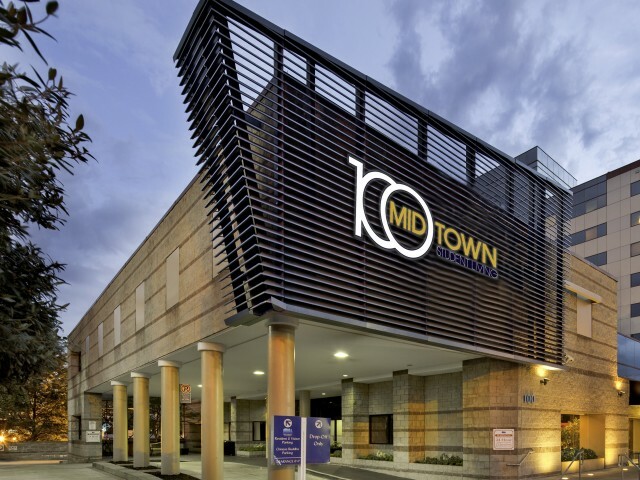 Your search for Atlanta apartments with a washer and dryer in unit ends at 100 Midtown. Our fantastic apartment community has everything you need for a life of comfort and convenience! In addition to a washer and dryer, every apartment has a leather furniture package and a 42” TV, saving you money and making move-in a breeze! (View a complete list of furnishings.) They also have an air conditioner, a dishwasher, electronic door locks, and free high speed Internet. Our spacious apartments have full kitchens, open living and dining areas, 1 or 2 modern bathrooms, 2 or 4 bedrooms, and plenty of storage space. Choose from 7 unique floor plans that span up to 1,764 square feet. As a housing community located in the heart of Georgia Tech, with easy access to Georgia State University, SCAD Atlanta and the AUC, academics are a priority for our residents. To help you succeed, we have several student-focused amenities: a library, a computer lab featuring Macs and PCS loaded with engineering software and the Adobe Creative Suite, and study rooms with Smart Boards. Plus, we’re close enough to campus that students can walk or bike to class, and we’re just one block away from the Midtown MARTA station! Other great on-site amenities include a 24-hour gym with machine and free weights, cardio equipment and a TRX machine, a theater room with an HD projector, DVD/Blu-ray player and real theater seating, and a video gaming room. Contact us today to schedule a personal tour. Our friendly and knowledgeable leasing staff is happy to show you around, and discuss pricing and availability. 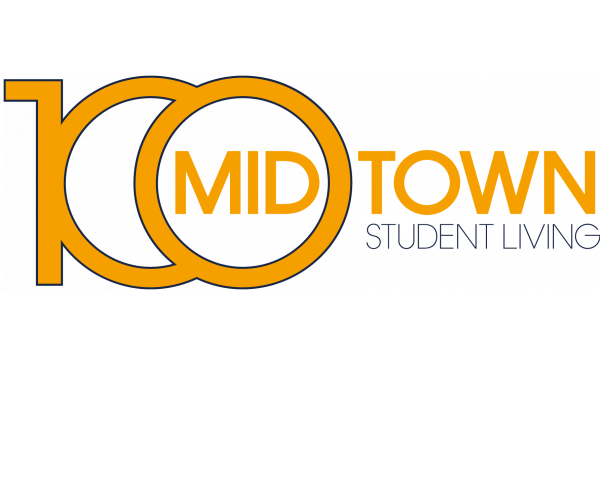 Once you see everything 100 Midtown has to offer, you won’t consider any other Atlanta apartments with a washer and dryer in unit!